For tips on how to set the table the way the French do, see our blog entry Setting the Table a la Francaise. 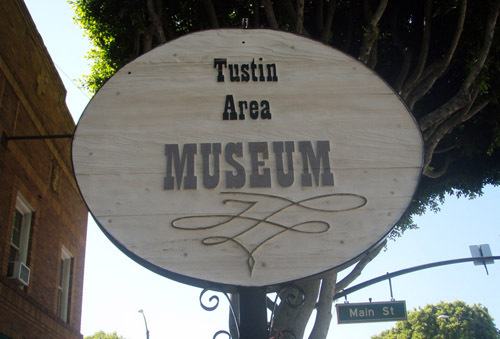 The Tustin Area Museum, an outreach of the Tustin Area Historical Society, has two of our French Country coated tablecloths on display! 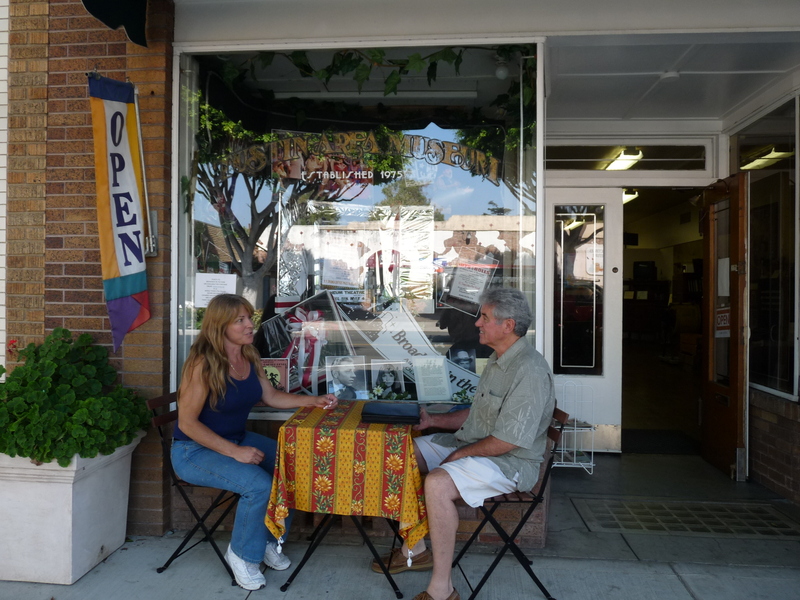 Come sit a spell at one of the tables in front of the museum and see our tablecloths. These shades of red and gold look great against the old brick, don’t you think? The museum is located in the Knights of Pythias Building, constructed in 1925. The building has been used as a drug store, variety store, City Hall, post office, and a TV and appliance store. The building has a full basement (unusual for earthquake-prone California) where local Boy Scouts used to meet. The intersection of Main and El Camino Real (formerly D St.) was the center of activity for Tustin residents many years ago…and is still plenty busy today!